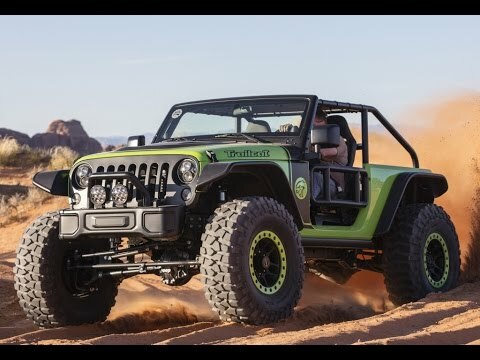 Forum » Vehicles » Jeep Specific » Finally, why there's no V8 option on a Wrangler! “But the problem is that it fits like a glove and there is no air space around the engine and the whole external space of the vehicle so you have no crush space; you have nothing that can be used to absorb energy in a crash." The crash test issue is somewhat of a revelation, but note he also touched on 2 other regulatory hurdles many people had already speculated were preventing a factory V8 option for the JK or new JL. The full article is available on the Australian website Drive. Re: Finally, why there's no V8 option on a Wrangler! Federal regulations drive more design decisions than the general public realizes. Crash tests, especially frontal impact, were a very big reason for the demise of the 4.0L. I believe emission requirements were an issue as well but I have no first hand knowledge of that. I wouldn’t mind having a Hellcat powered Wrangler.